860 Washington is unlike any other retail opportunity in the neighborhood. The two-floor Multi level store is encased in 40 feet of floor-to-ceiling glass with 181 feet of corner frontage. 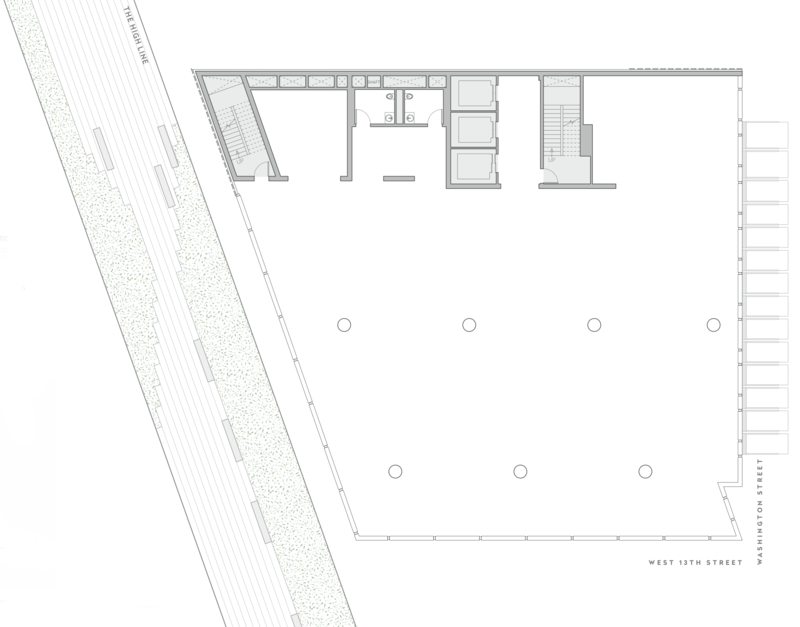 The 103-foot-long storefront on West 13th Street faces the always-active plaza of The Standard Hotel and the bustling West Village. Washington Street features 78 feet of exposure overlooking the new Samsung experience and the surrounding luxury retail landscape. The two-story retail space delivers unprecedented visibility from every angle. 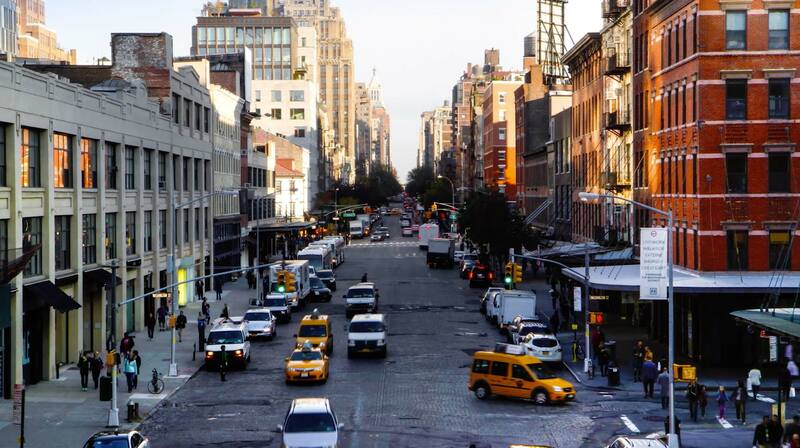 The District’s only 40-foot-tall double-height glass windows face the installation plaza of The Standard Hotel and the highly active crossroads of West 13th Street and Washington Street — capturing all eyes in this exclusive hub of luxury retail, celebrated restaurants and nightlife destinations. 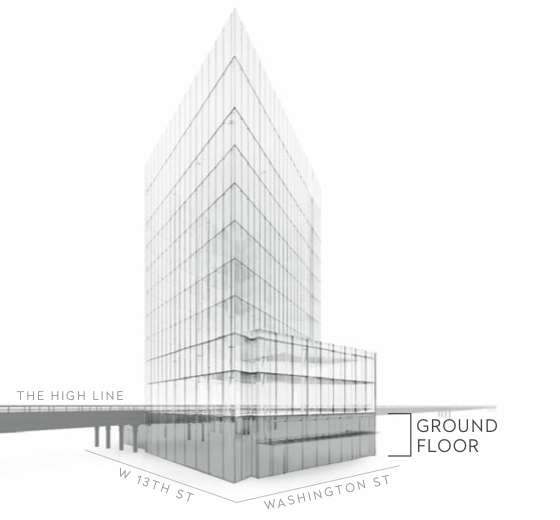 The second level of the all-glass retail base features 17-foot-tall windows offering an illuminated glass billboard directly on The High Line. This elevated park and cultural thoroughfare delivers continuous traffic from day to night, attracting over five million visitors annually. In addition, more than one million visitors are anticipated at the new location of The Whitney Museum, located just one block south of 860 Washington.